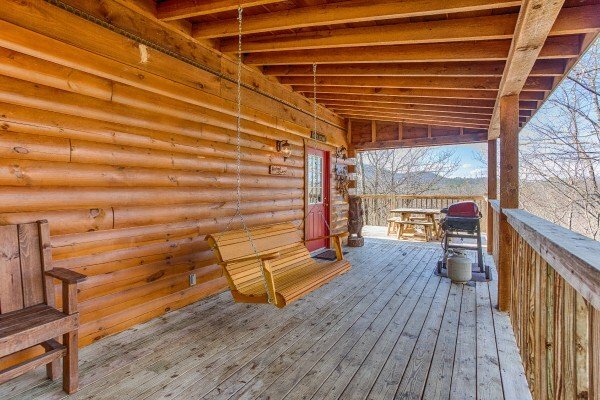 When you arrive at HOOKED ON COWBOYS LODGE, you'll immediately be drawn to the amazing wrap-around deck. 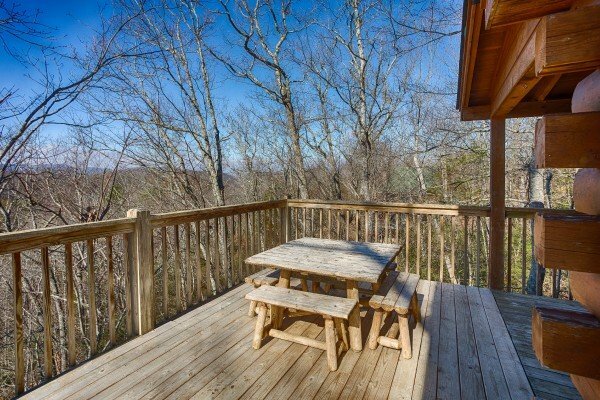 Beautiful mountain views await from the relaxing porch swing, the gas grilling and dining space, and the comfy porch rockers. 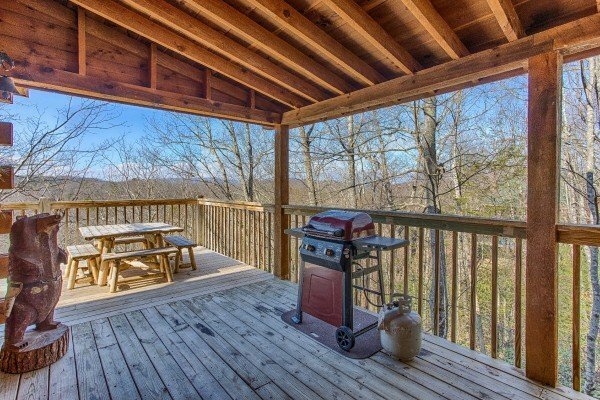 Rounding out this wonderful space is a SCREENED-IN PORCH with a steamy hot tub you can enjoy year-round! If you can pull yourself away to get inside, you'll be welcomed by a vaulted living room with large windows to let in plenty of natural light. 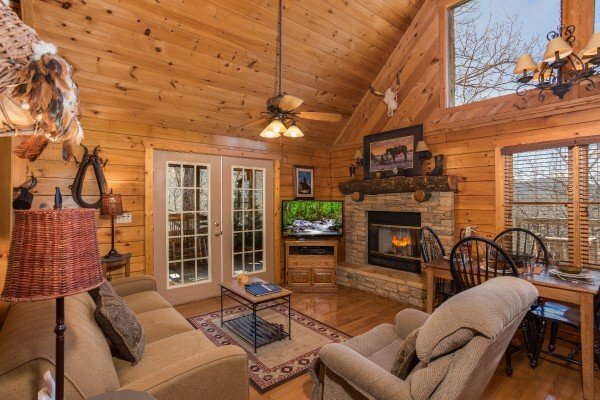 A warm stacked stone, gas fireplace and satellite TV will draw you in to the large living room. A full kitchen provides all the convenience of home for a night of dining in. 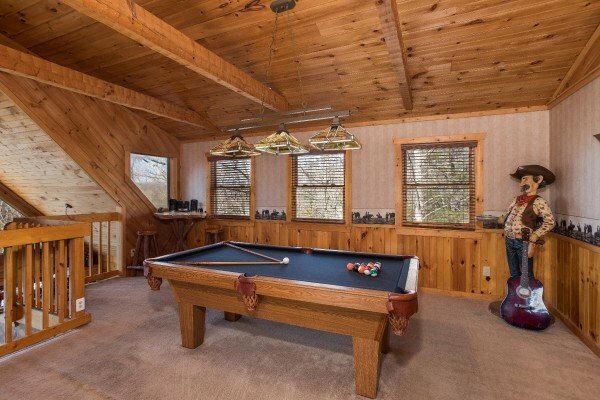 A regulation pool table waits for you in the loft space, so challenge your family to a game or two! 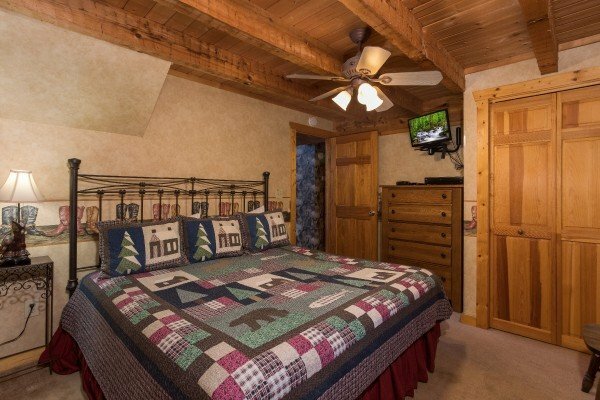 With two king bedrooms & two sleeper sofas, this lodge is perfect for couples traveling with kids! 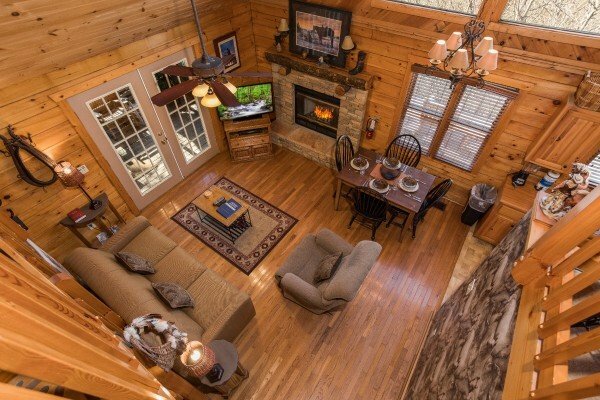 HOOKED ON COWBOYS LODGE is the perfect home base for your next Smoky Mountain vacation - make your plans now! 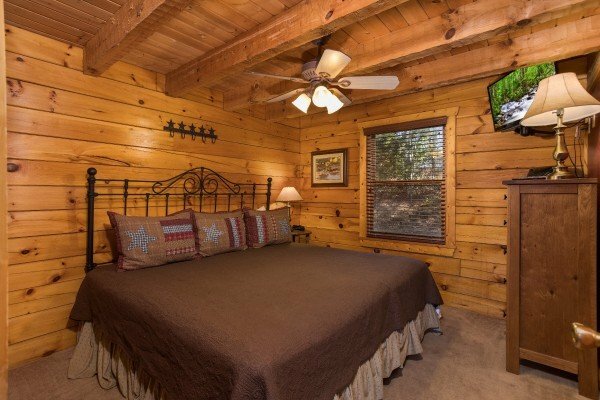 We really enjoyed staying at Hooked on Cowboys Lodge. It was just perfect space for us. Everything was in perfect working order. If we ever had the opportunity, we would sure stay there again. We were delighted with "Hooked on Cowboy Lodge" except that the DVD player was broken. Al, the maintenance guy, was very helpful when we had difficulty with the TV. 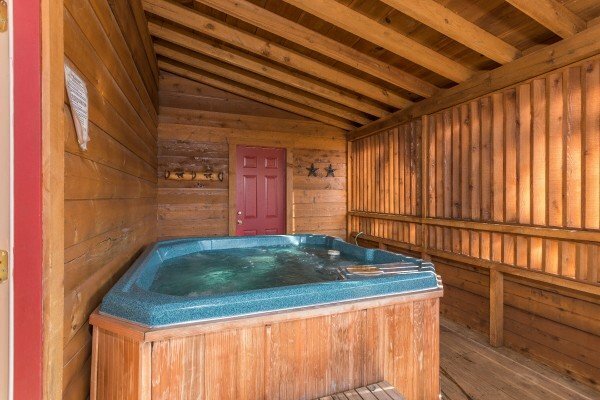 The cabin was clean, the kitchen well stocked and hot tub was at the right temperature. Beds were comfortable and clean also. Nice supply of towels and paper products. The shower nozzles are a bit high but worked. 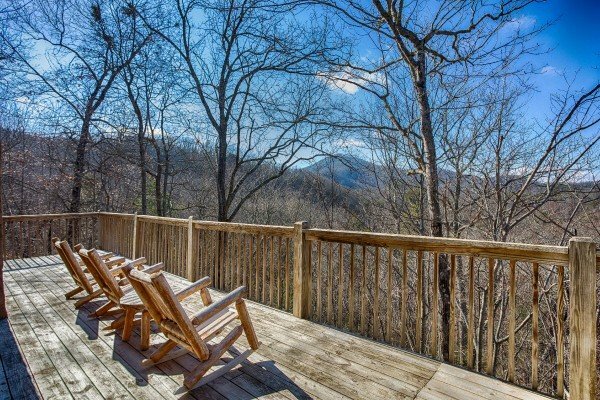 We have recommended American Patriot Getaways to our friends. Thank you for the best, most relaxing vacation my family and I have ever had. 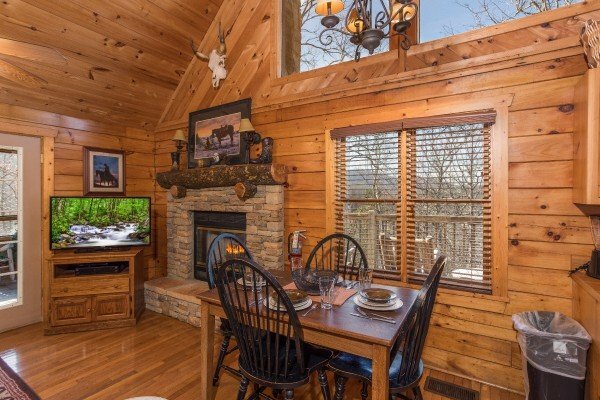 The cabin was way beyond our expectation, and everything was perfect. 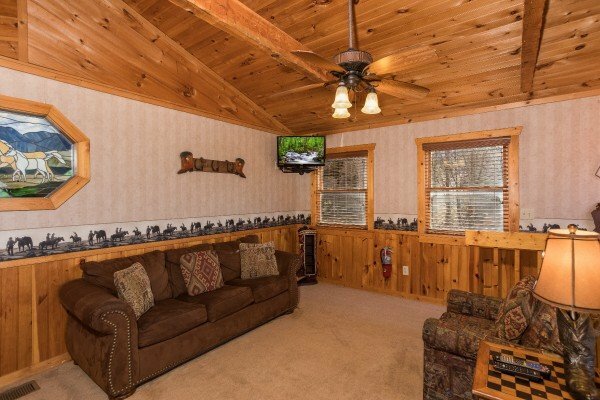 Not only will my family only use American Patriot Getaways, bit we are highly recommending it to everyone weknow. Thank you so much! Cabin was better that I thought it would be. 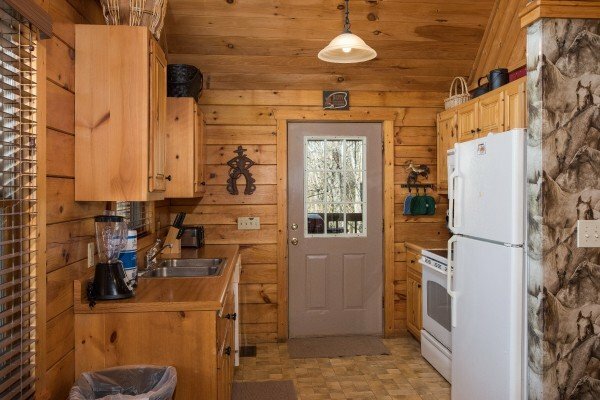 My family and I were very suprised with the cabin. The beds were comfortable water was hot. Will Refer. Had a GREAT time!!!! My husband and I had a wonderful time. The leaves were at their peak, a little drizzle turned to sleet and then a little snow. It was a picture perfect mini get away. We have always stayed with American Patriot Getaways and always will. 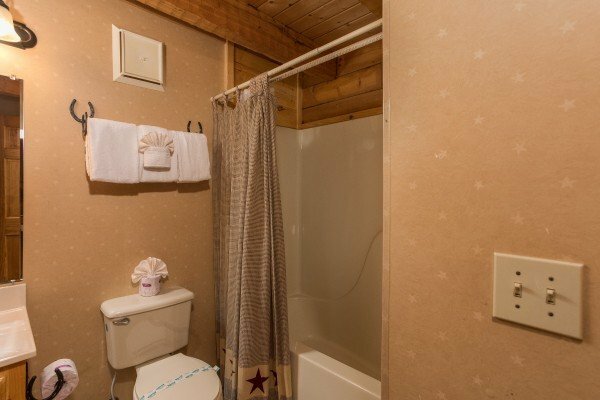 The quality of every cabin has been top notch. 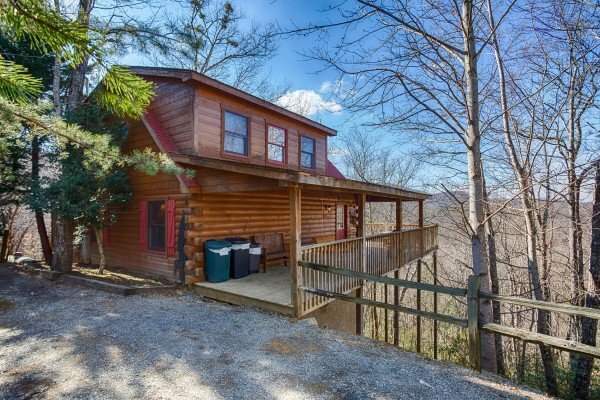 This cabin was a great place for me and my wife to stay. We had one issue and it was fixed in a timely manner. 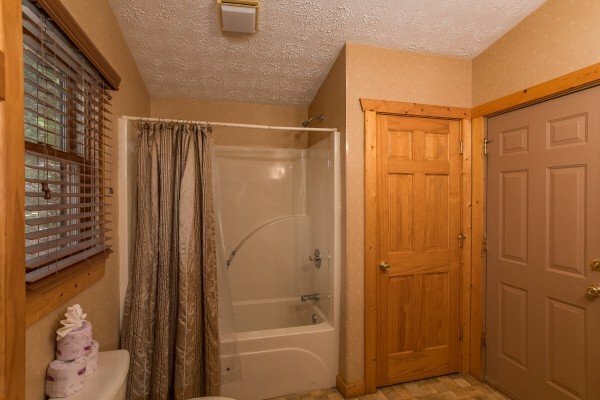 Had a WONDERFUL time, cabin is super clean and done up very nice.Price was very reasonable and would love to come stay again in the cabin. Really had a fantastic getaway. We will absolutely be renting again. Thanks so much. Thank you for a wonder time. My children enjoyed being able to be kids without it being a problem. we will definitely do this again. Again, Thanks! Yes me and my husband were actually celebrating our 5 year anniversary witch we stayed with you in Gatlinburg @ cute as a bear. My best friend and her boyfriend were with us this time and was their first time staying in a cabin. 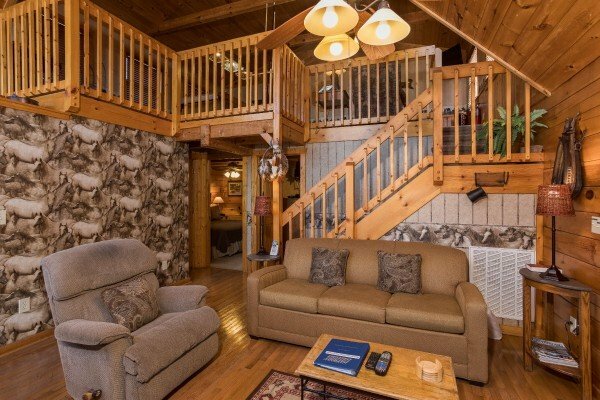 We all had a wonderful timethe cabin was beautyful and we stayed in the cabin all three nights cooking and playing alot of pool and relaxing in the hot tube. We all would like to thank you for the wonderful memories we will charish them always.